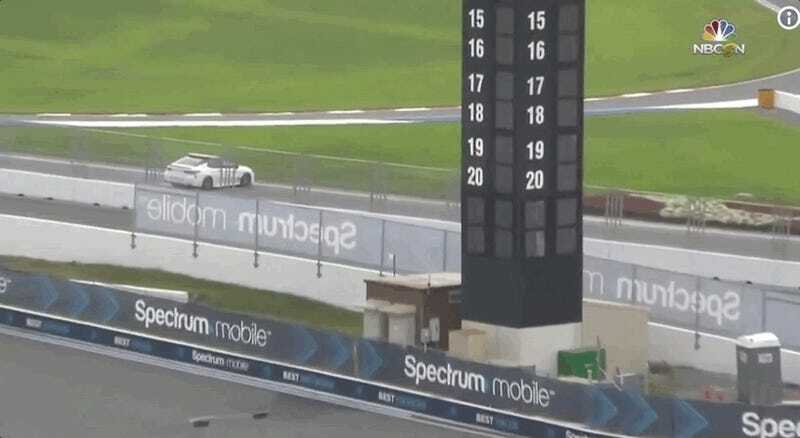 NASCAR’s running the road course at Charlotte Motor Speedway for the first time ever this year, and drivers are spinning—and subsequently crashing—more than figure skaters at the Olympics. If this were Wheel of Fortune, do you know how many words we would have spelled out by now? All of them. Seriously, people are so bad at this that even the pace car spun out. It rocks. 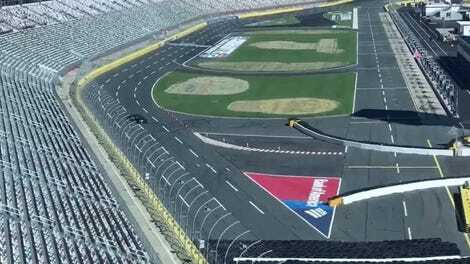 The road course at Charlotte Motor Speedway is actually a mix of its 1.5-mile oval track and its interior road course, a “roval,” which comes out to 17 turns and nearly 2.3 miles. NASCAR’s had to adjust the layout more than once since announcing the roval, including to keep drivers from cheating with shortcuts. The Cup Series and the Xfinity Series are at the roval this weekend, and it’s the first time NASCAR has ever run the configuration. Previous test sessions haven’t stopped countless drivers from spinning, wrecking and launching off of kerbs during the first few practice sessions so far, and that includes the person driving the pace car—a street version of the Toyota Camry. It is chaos. If you need me at all this weekend, don’t. The roval will be the only thing that has my attention.